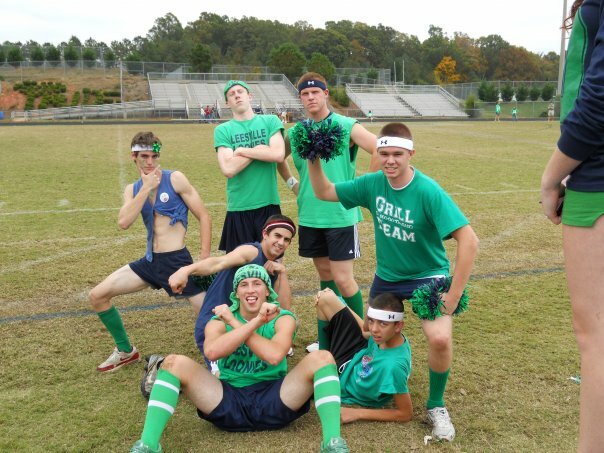 A group of senior boys took on the role of cheerleaders to show their support for the senior girls during the annual Powder Puff game on Oct. 27, 2009. The male cheerleaders were comprised of the senior class’s most spirited: Bobby Iannuzzelli, Rich Frost, Dylan Briggs, Wes Suggs, Michael Wojciechowski, and Kyle Davis. The senior boys only wanted the best of the best to represent their class: the guys who consistently showed the most spirit throughout the year and would really get into cheering the senior Powder Puff team on. “At practice the weaker and less-spirited guys were sent home, and the rest of us put [in] a long hard hour,” said Wes Suggs, senior. 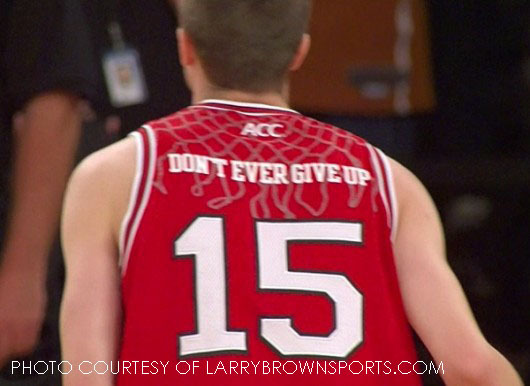 The boys also chose to dress the part, and attendees of the game definitely noticed. The boys wore scandalous clothes that showed off pale stomachs and even paler legs due to extremely short shorts. “I worked out before the game, so I looked ripped in my tiny tee, and I tanned!” said Suggs. The outfits just added to their routines, and proved that the senior boys would stop at nothing to show their dedication to cheering on the senior girls. “I thought the cheerleader’s uniforms were hysterical; their basket toss and their pyramid was really funny too,” said Jessica Rea, sophomore. The boy’s preparations resulted in a successful win for the seniors and a comical element to the powder puff game. Be the first to comment on "Boy cheerleaders add humor to powder puff game"
The legacy of Jimmy V.